CAPITAL SIGNAL's marshalling service is the transport and logistics arm of the company serving domestic and international customers from its waterside facility in Carenage, Trinidad & Tobago. Our four acre waterfront property with approximately 600 feet docking space provides us with the capability to mobilize vessels, barges, small jack up rigs, etc. on very short notice. We can mobilize rapidly, independent of the schedules, problems or backlogs of a typical third party facility and more economically too. Capital Signal owns and operates a fleet of barges, cranes, excavators, lifting gear and other equipment and we adhere to the highest safety standards. We employ a very diverse staff of electrical, civil and mechanical engineers, project managers, surveyors, welders, fabricators, carpenters, mechanics, machinists as well as general labour which allows us to provide a one stop shop to our clients. If you have a need that involves fabrication, load-outs, barges, vessels, or transport over the water, call us and we’ll get it done. - Crane & Wet Docking Services including onsite Cranes of up to 175 Tons. With 26 years of experience and reliability to guide us, Capital Signal Co. Ltd. is excited to announce the next phase in our evolution. 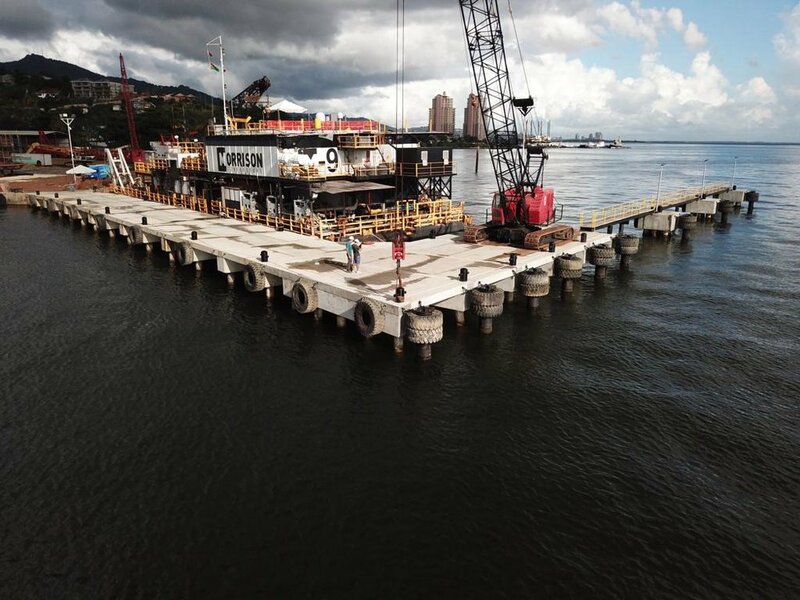 We are pleased to offer expanded berthing capabilities to our waterfront facility in Carenage, Trinidad. -Over 300m of vessel berthing capacity with up to 6m of water depth. -4.5 acres of waterfront facility with multiple laydown and storage options. -Welding, fabrication, sandblasting and painting services on site. -Cargo handling capabilities up to 45T on site. -Potable water supply and waste removal services. -Specialised and Ultra-Heavy Lifts capabilities. -Project Mobilisation/ Demobilisation support capabilities.